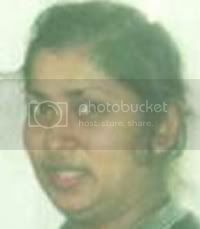 Circumstances - Aruna Verma was last seen in Port Kembla, NSW on 2nd June 2002. A woman who disappeared a day before she was going to leave her husband was murdered by him, a court has been told. Kaniappa Raju, 45, is standing trial in the NSW Supreme Court charged with the murder of his wife, Aruna Verma, at Port Kembla on the NSW South Coast. Ms Verma has not been seen or heard from since the morning of June 2, 2002, when she disappeared as her children and nanny attended church. None of her bank accounts have been touched, and there are no immigration records showing that she has left the country. Opening the trial today, prosecutor Mervyn Grogan said relations soured between the couple in the month before she vanished, with Raju believing Ms Verma was having an affair with his cousin. But he, too, had a relationship with a woman in Queensland, and the couple had a son, the court heard. Raju confessed to Ms Verma that he had dobbed his cousin in to the Immigration Department for working in breach of his visa, and had threatened to do the same to her, Mr Grogan said. The ensuing public argument turned violent, leading Ms Verma to apply for an apprehended violence order. She also made inquiries with a counselling service and a refuge. On the morning of her disappearance, Mr Grogan said, Raju used Ms Verma's phone to check the recent numbers she had dialled, including the Red Cross and the refuge, alerting him to her intent to flee the next day. That same day, only hours after picking the children up from Sunday school, Mr Raju drove to Queensland with their four children, left them in the care of his lover, and then booked himself a one-way flight to the Solomon Islands, the court was told. Raju left Australia the next day and remained in the Solomons until he was extradited in 2005. "That is indicative of somebody acting in a way that shows their guilt," Mr Grogan said. But defence barrister Nathan Watts urged the jury to keep an open mind, saying the absence of a body and the circumstantial nature of the case placed the Crown's theory "hotly in issue". "[Raju] refutes the case that the Crown puts, that it was even possible to go back to [the family home] from where the children were at Sunday school, then somehow murder his wife and somehow dispose of the body in this short period of time without leaving any evidence ... and then go back to pick up his children," Mr Watts said. "That is why it will be necessary for you to look at all of the evidence with great care." Ms Verma's body had not been found and the jury had to be convinced she was in fact dead, he said. The trial is continuing before Justice Virginia Bell. As Aruna Verma's children sat in church and prayed, their father murdered her, dumped the body, then drove them to Queensland and fled alone to the Solomon Islands, a Sydney court has been told. The Fiji-born woman vanished without a trace from her home at Port Kembla, on the NSW south coast, on June 2, 2002, as her four daughters and their nanny attended mass. Ms Verma's bank accounts and mobile phone have not been touched, with Medicare and immigration records showing no sign of activity. In the hour before her disappearance, someone used her phone to call recently-dialled numbers, including the Red Cross and a women's refuge where Ms Verma planned to flee with her children the next day. Her husband, Kaniappa Raju, has pleaded not guilty to murder and is standing trial in the NSW Supreme Court. Prosecutor Mervyn Grogan told a jury on Wednesday that relations between the couple had soured in the month before she died, with Raju believing his wife was having an affair with his cousin Chinna Gounder. Raju, 45, confessed to dobbing Mr Gounder into immigration for breaching his visa by working, and threatened to do the same to his wife, sparking a bitter row. Raju was subsequently charged with assault and stealing, after hitting his wife and taking her mobile phone, after Ms Verma took out a restraining order, said Senior Constable Brooke Notley. Mr Gounder was eventually deported. Ms Verma's former boss, Rowan Hankinson, said that shortly before the disappearance she asked him if her mobile phone bills could be delivered to the post box of the cafe where she worked because she "didn't want Raju to see". Raju had called the cafe on the evening of May 4 looking for his wife, and became agitated when told she wasn't there, the court was told. "Ten minutes later I received another phone call ... Raju indicated to me that Aruna had been taking money from our tills and that she was working illegally," Mr Hankinson said. Immigration officials raided the cafe looking for Ms Verma on May 29, saying they had been advised she was breaching her visa. But she had not worked a shift in three weeks, after telling Mr Hankinson's wife that Raju had run off with the children. Mr Grogan said logic and reason suggested Ms Verma was dead and her husband was the culprit. He said that four hours after discovering his wife was gone, Raju packed up the children and nanny and drove through the night to his lover's home in Queensland. He booked a one-way flight to the Solomon Islands and left the next day, remaining there until he was extradited in 2005. But Raju's barrister Nathan Watts said the hypothesis was "hotly in issue", with no body and no conclusive evidence linking him to the crime. "(Raju) refutes ... that it was even possible to go back to (the family home) from where the children were at Sunday school, then somehow murder his wife and somehow dispose of the body, in this short period of time, without leaving any evidence ... and then go back to pick up his children," Mr Watts said. The trial continues before Justice Virginia Bell. A Fijian-born man who fled to the Solomon Islands on a one-way ticket just days after the disappearance of his de facto wife in NSW has been convicted of her murder. Aruna Verma vanished from her Port Kembla home while her four children and their nanny attended church on the morning of June 2, 2002. Her bank accounts and mobile phone have not been touched since, and immigration records show no sign of her leaving the country. Ms Verma's de facto husband Kaniappa Raju, 45, today was convicted of her murder by a NSW Supreme Court jury. The panel of 12 took just five hours to reach its verdict, following a trial of three weeks. It was the third trial for Raju, with the first aborted and a hung jury at the second. Ms Verma's relationship with Raju had been strained in the month leading up to her disappearance, the jury was told. Raju suspected his wife was having an affair with his cousin Chinna Gounder, whom he dobbed in for working in breach of his visa. Mr Gounder was detained in Villawood and eventually deported, and Raju threatened his wife the same fate awaited her. The couple fought bitterly, with Raju becoming so aggressive Ms Verna took out a restraining order and made plans to leave with her four daughters. On the morning of her disappearance, someone called the last numbers dialled on Ms Verna's phone, including the refuge where she was intending to flee the following day, said prosecutor Merv Grogan. Within four hours of discovering his wife was missing, Mr Grogan said, Raju packed up his daughters and drove through the night to his lover's home in Queensland. He left the girls there, then bought a one-way ticket to the Solomon Islands, where he remained until being extradited to face the murder charge in 2005. "That is indicative of somebody acting in a way that shows their guilt," Mr Grogan told the court. Raju wept as he took the stand in his own defence, claiming he drove around for hours searching for his wife. His lawyer, Nathan Watts, told the jury it was impossible, within the narrow timeframe, for Raju to have killed his wife and disposed of her body. Justice Virginia Bell remanded Raju in custody for sentencing submissions on December 6.